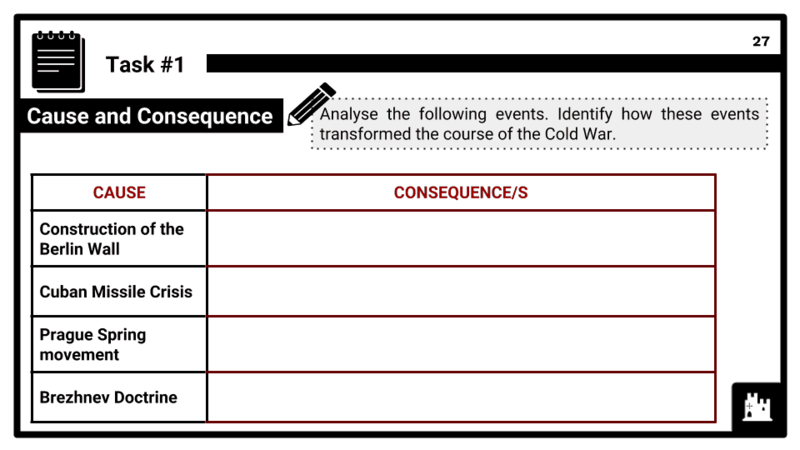 This Wider World Depth Study module covers option BC of the AQA 9-1 GCSE History topic "Conflict and tension between East and West, 1945–1972". In this module, the focus is on the tense relationship between the US and USSR superpowers in the decades after the Second World War. This wider world depth study enables students to understand the complex and diverse interests of the Great Powers and other states. It focuses on the causes, nature and conclusion of the First World War and seeks to show how and why conflict occurred, and why it proved difficult to bring the war to a conclusion. This study also considers the role of key individuals and groups in shaping change and how they were affected by and influenced international relations. The end of the Second World War: Yalta and Potsdam Conferences; the division of Germany; contrasting attitudes and ideologies of the USA and the USSR, including the aims of Stalin, Churchill, Roosevelt, Attlee and Truman; the effect of the dropping of the atom bomb on post-war superpower relations. The Iron Curtain and the evolution of East-West rivalry: Soviet expansion in East Europe; US policies; the Truman Doctrine and Marshall Plan, their purpose and Stalin’s reaction; Cominform; Comecon; Yugoslavia; the Berlin Blockade and Airlift. 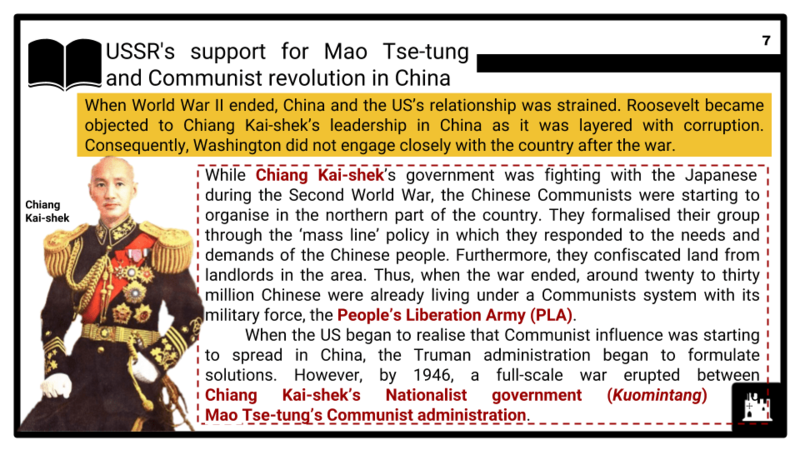 The significance of events in Asia for superpower relations: USSR’s support for Mao Tse-tung and Communist revolution in China, and the military campaigns waged by North Korea against the UN and by the Vietcong against France and the USA. 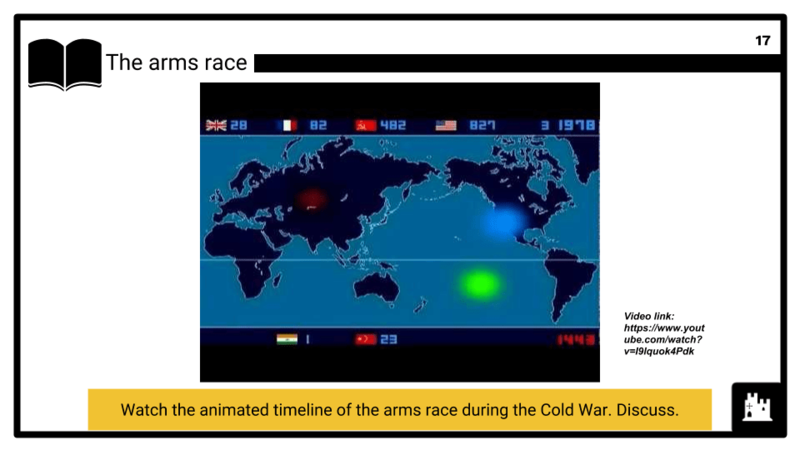 Military rivalries: the arms race; membership and purposes of NATO and the Warsaw Pact; the space race, including Sputnik, ICBMs, Polaris, Gagarin, Apollo. The ‘Thaw’: Hungary, the protest movement and the reforms of Nagy; Soviet fears, how they reacted and the effects on the Cold War; the U2 Crisis and its effects on the Paris Peace Summit and the peace process. The Berlin Wall: reasons for its construction and Kennedy’s response. Tensions over Cuba: Castro’s revolution, the Bay of Pigs and the missile crisis: the roles of Castro, Khrushchev, Kennedy; fears of the USA and reaction to missiles on Cuba; dangers and results of crisis. Czechoslovakia: Dubeck and the Prague Spring movement; USSR’s response to the reforms; the effects the Prague Spring had on East-West relations, including the Warsaw Pact; the Brezhnev Doctrine. 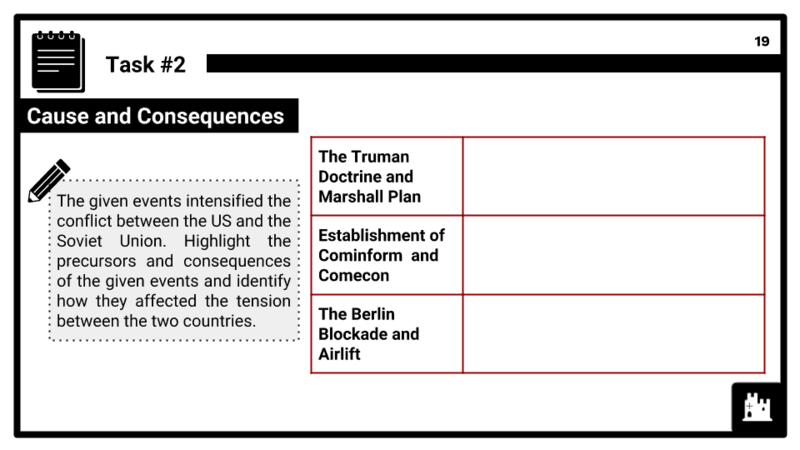 Easing of tension: sources of tension, including the Soviets’ record on human rights; the reasons for Détente and for SALT 1; the part played by key individuals Brezhnev and Nixon.